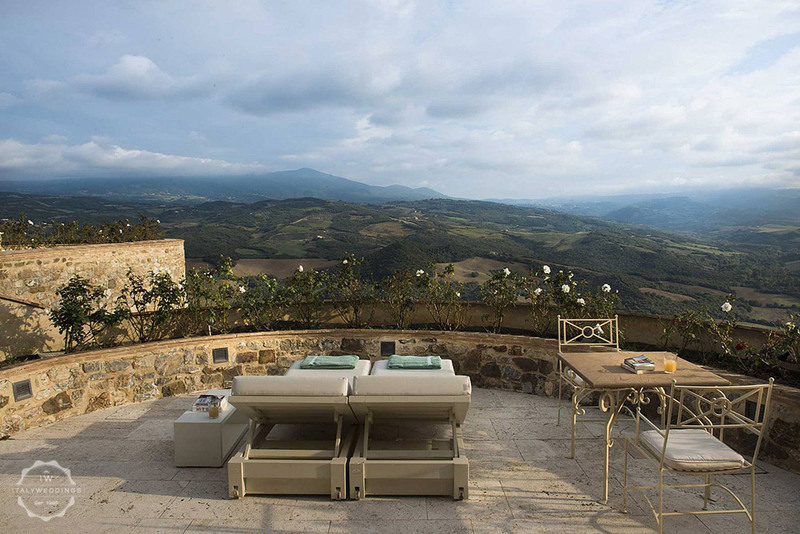 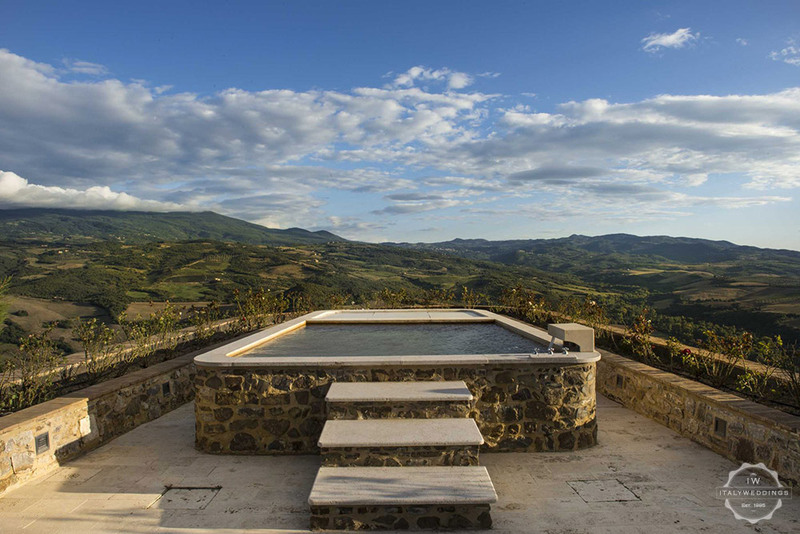 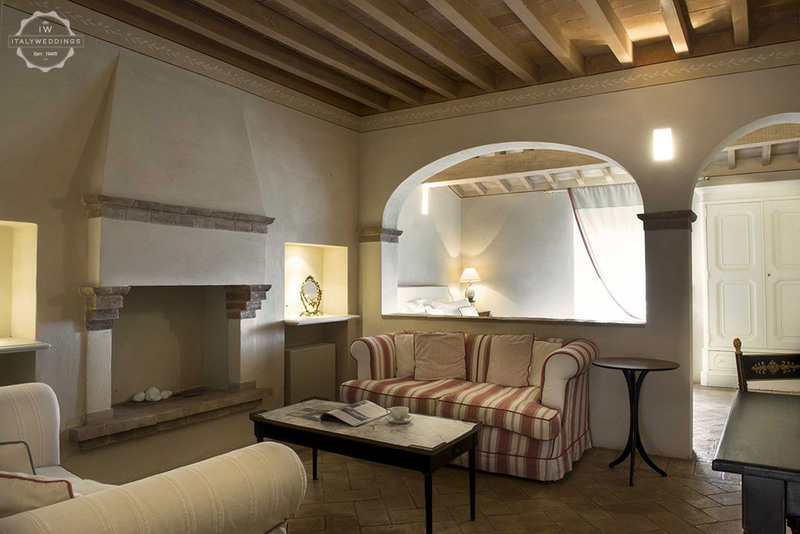 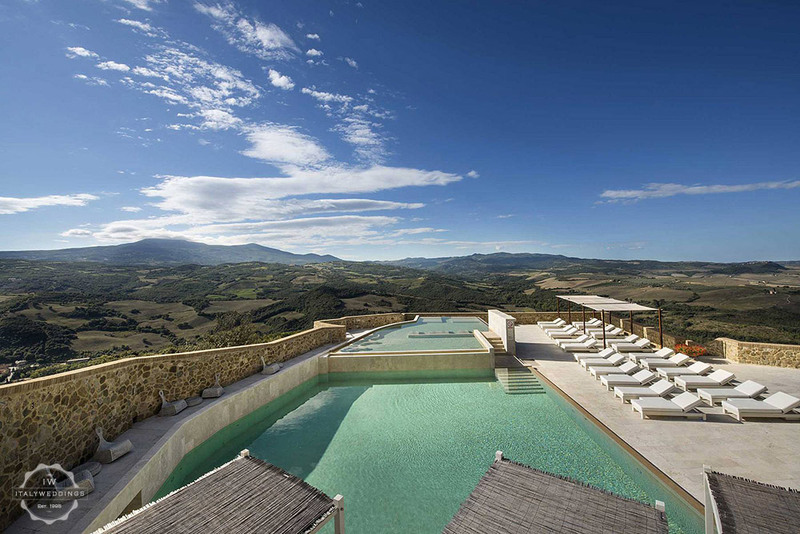 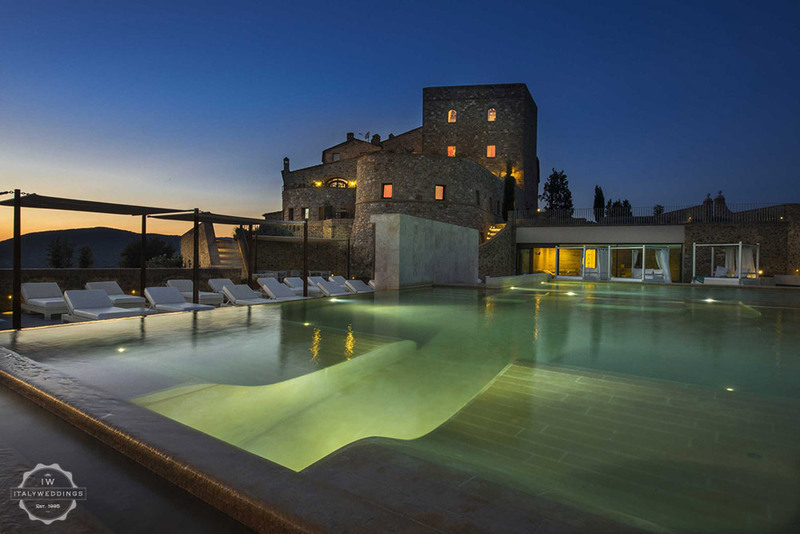 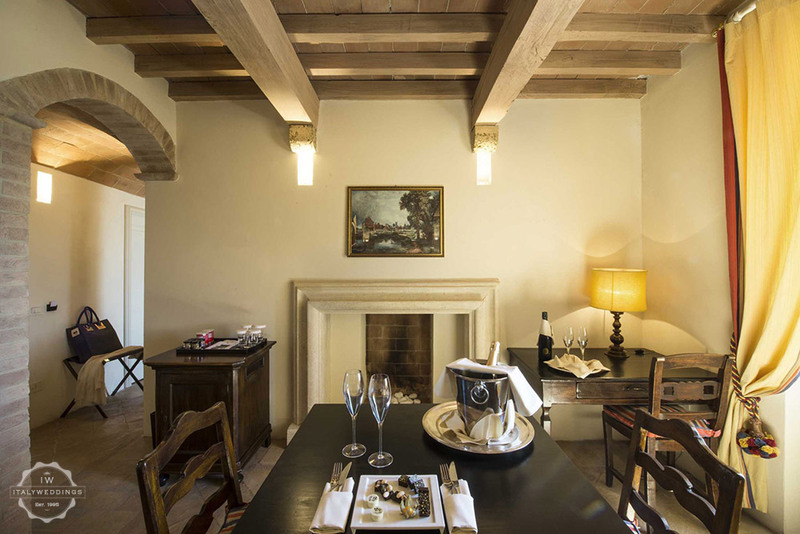 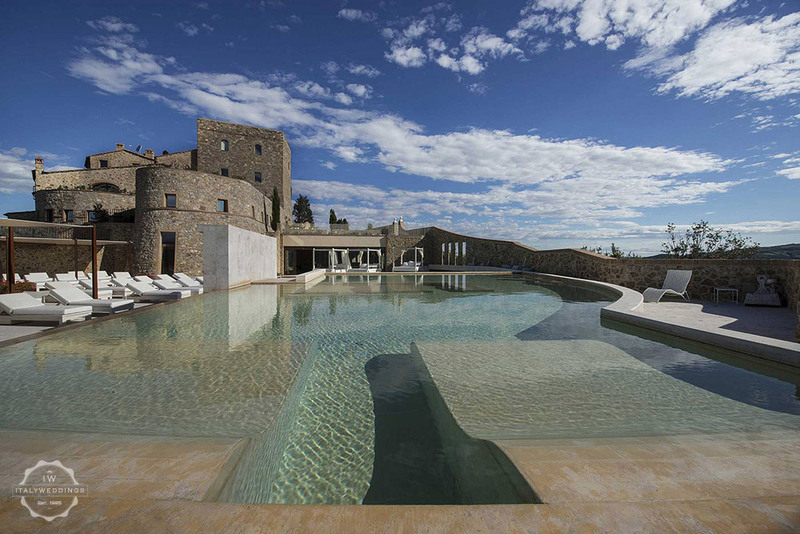 Situated between Val d’Orcia, a UNESCO world heritage site in the heart of Tuscany, and Mount Amiata, this castello is a centuries-old residence that offers its guests unique sensory emotions. 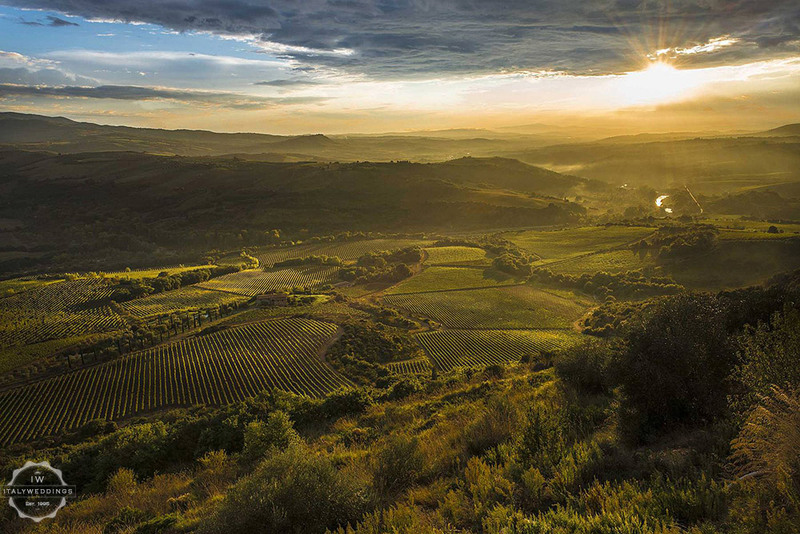 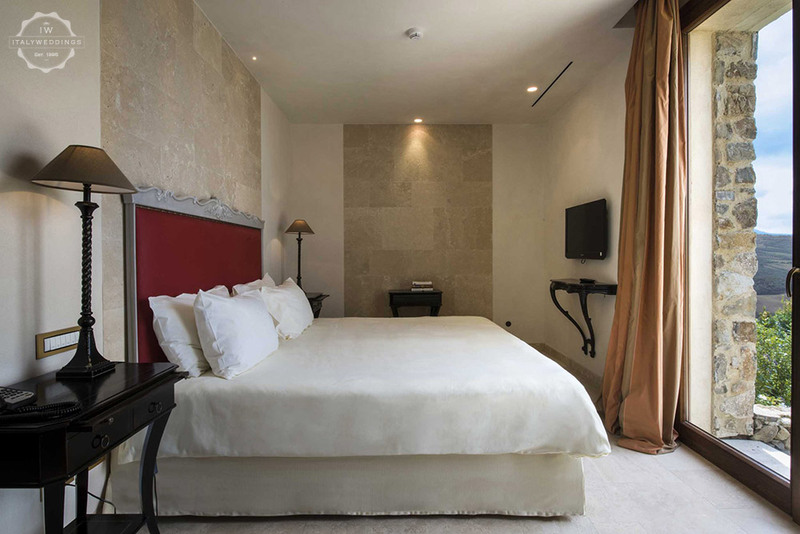 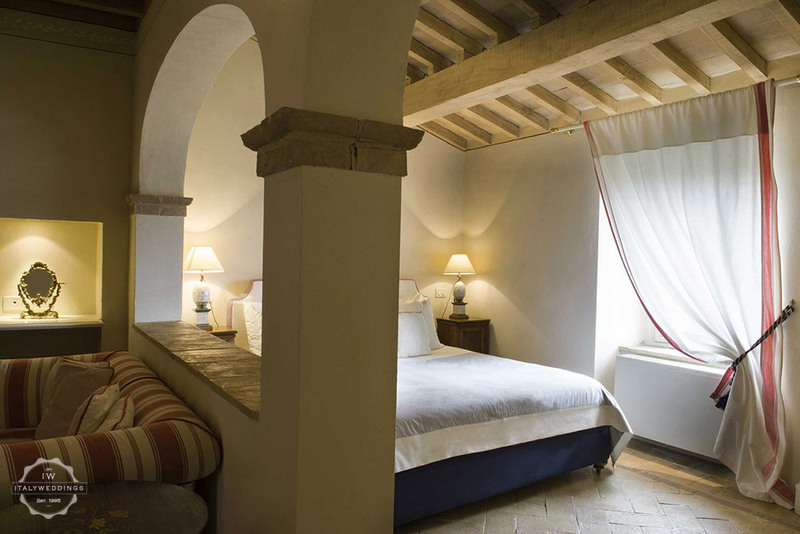 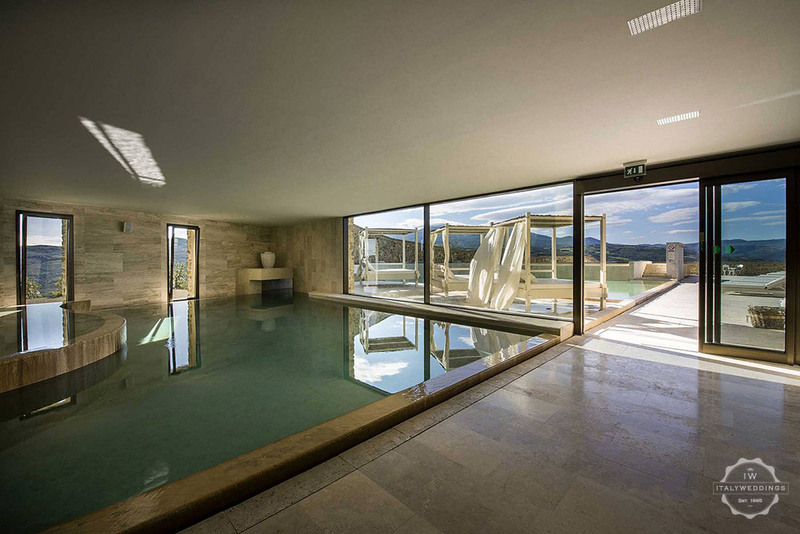 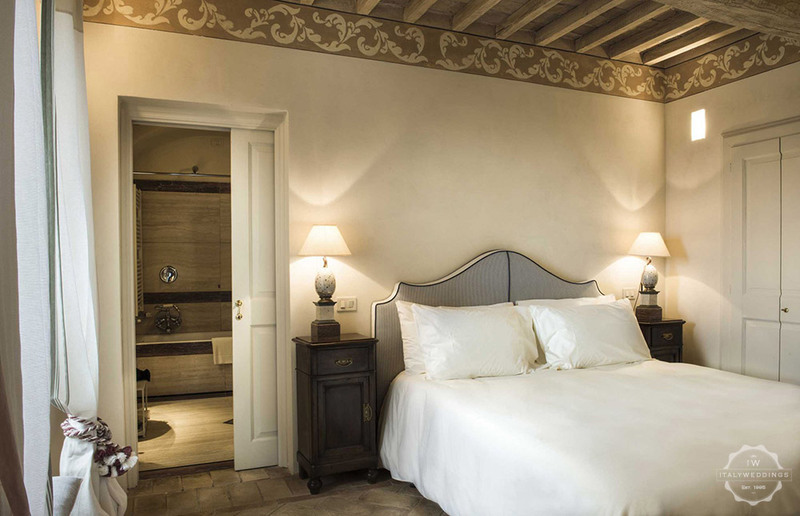 As the rooms either look over the Val d’Orcia sunsets, or the estate’s vineyards, the 46 bedrooms and suites are divided into two types: Castle and Sunset – they are all luxurious settings, dedicated to wellness, nature, colours and the history of Tuscan tradition. 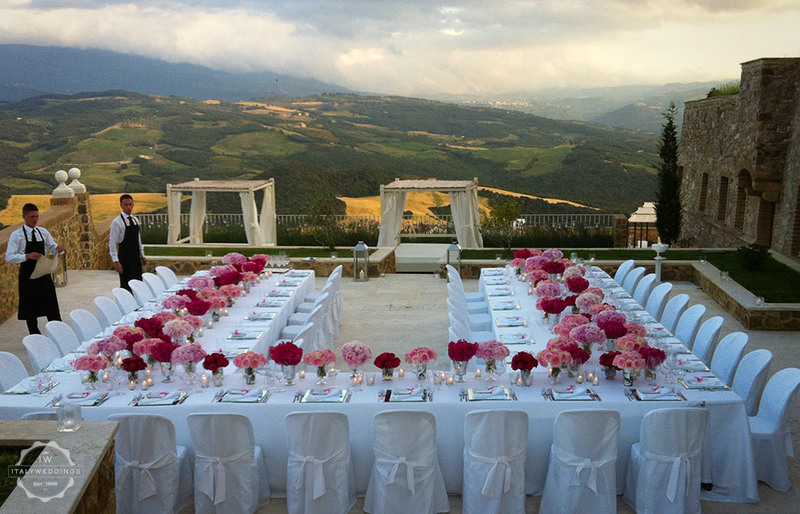 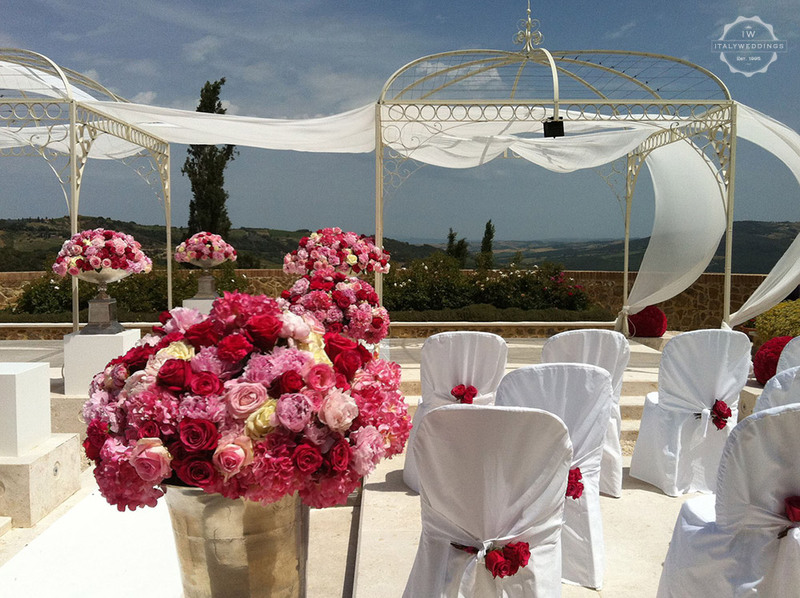 As for a wedding event: Castello di Velona offers an ideal backdrop – the charming scenery of the Siena hills: in a dreamlike atmosphere, with stellar cuisine and super Tuscan wines – an unforgettable experience of the best Tuscany has to offer. 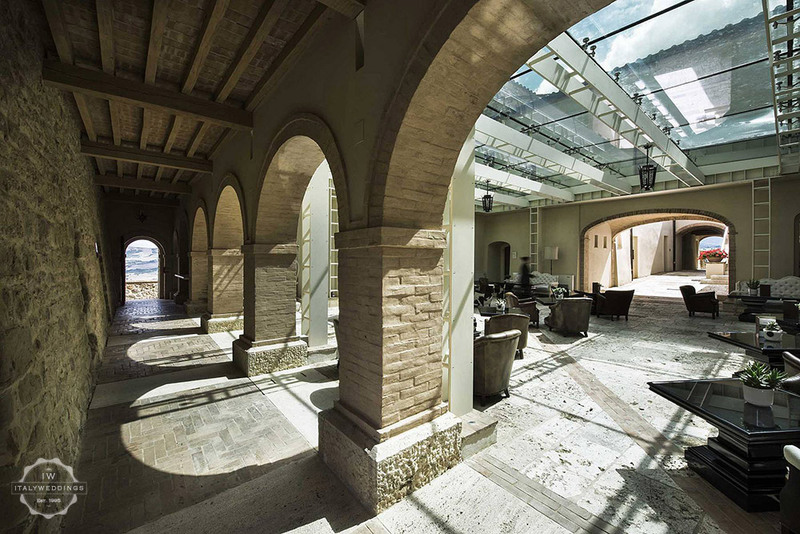 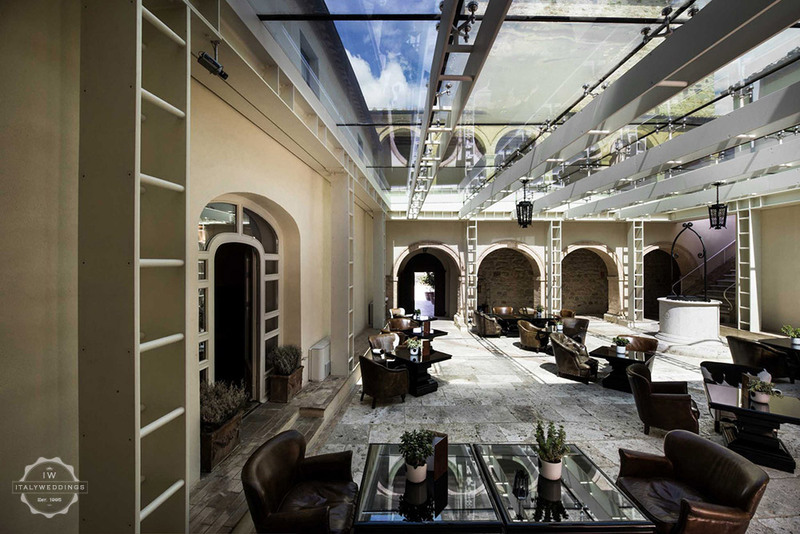 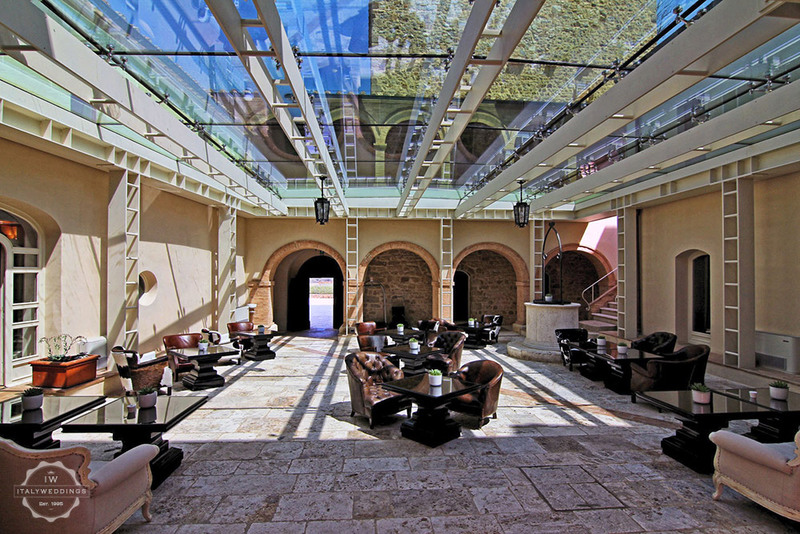 There are spaces such as the marvelous terrace of the restaurant, the gardens, Spa baths, extensive sheltered courtyard areas, with exclusive use capacity for events of up to 120 guests.